Alright people. This is where my musical snobbery really struts its stuff. You saw the new Into the Woods and you really liked it! Great music, clever story, so much fun! Find out just how much you’ve missed, and go watch the original Broadway cast in the original Broadway staging. (And lament that it’s not often you get the chance to do that. Broadway does a HORRIBLE job of archiving its arts and artists.) 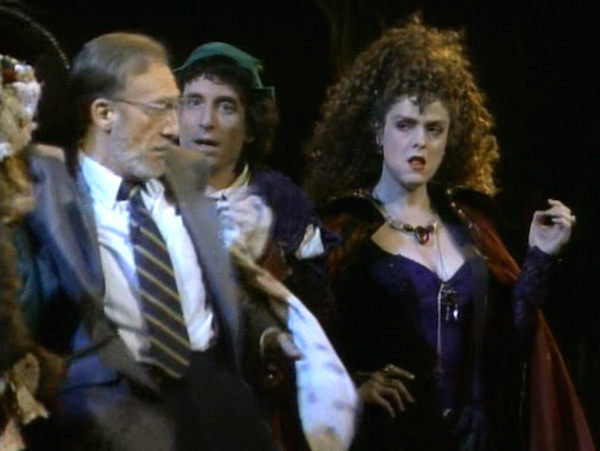 Bernadette Peters shines as the Witch, but Joanna Gleason as the Baker’s Wife will absolutely destroy you. If you suffered through the Gavroche-y Jack onscreen, discover just how delightful that character can be. And, much like book adaptations, you’ll also discover just how much was edited out. If you saw the new Into the Woods and did not like it, or haven’t seen it at all – you can still watch this and fall in love. It’s on DVD and Blu-Ray, and you can probably grab most of it on Youtube if you’re incredibly lazy. My friends are sick of hearing me whine about bad musical adaptations – but there really is no substitute for hearing talented, trained professionals at the top of their craft delivering these songs and these performances. Berlin Express is one of the noirest films noir around. Filmed partly in the desolation of bombed-out Dresden, this film is not just a crime caper, it is also a document of Europe’s fresh wounds from WWII. 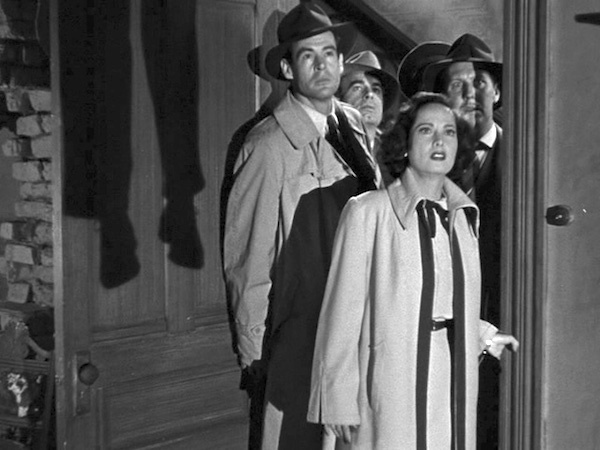 Jacques Tourneur (the man who gave us Cat People) directed this film with an international cast, who played a similarly diverse set of characters, all of whom are forced to cooperate amidst their shared suspicion of each other. Also, the film stars Robert Ryan, one of the finer square-jawed all-American actors of yesteryear. This film was very hard to find in the past, but it is now one of the finer rarities revived by the Warner Archives. It’s worth the work to find and watch!